This condition is commonly referred to as “Andropause”. A man may be considered hypogonadal at any age if total testosterone is less than 200 ng/dl, or bioavailable testosterone is less than 60 ng/dl. 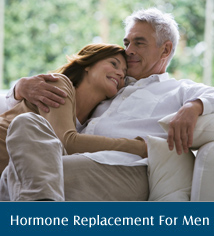 Basaria and Dobs of Johns Hopkins University recommend that elderly men with symptoms of hypogonadism and a total testosterone level < 300 ng/dl should be started on hormone replacement. Structural differences exist between human, synthetic and animal hormones. 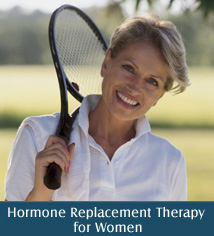 In order for a replacement hormone to fully replicate the function of hormones which were originally naturally produced and present in the human body, the chemical structure must exactly match the original. There are significant differences between hormones that are natural to humans and synthetic or horse preparations. Side chains can be added to a naturally-occurring hormone to create a synthetic drug that can be patented by a manufacturer. Naturally-occurring substances can not be patented, so scientific studies are less numerous on natural hormones. 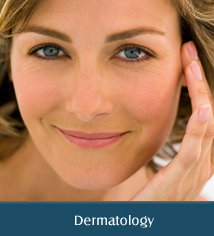 Our compounding pharmacy professionals in Los Angeles can prepare individualized therapies for a myriad of dermatologic problems. Compounding pharmacists continue to improve both the aesthetic and therapeutic aspects of customized medications, offering alternatives and advantages for dermatology. We can compound medications into cosmetically appealing creams, topical sprays and powders, as well as create customized oral dosage forms (such as flavored troches or lozenges) and various preparations for other routes of administration. Compatible drugs can be combined into a single dosage form to simplify a medication administration schedule and improve compliance. USP approved chemicals can be utilized to enhance the absorption of topically applied medications. We commonly prepare unique formulations that physicians develop to meet specific needs of their patient population, or “tried and true” formulas acquired during medical training. Pain management is essential because even when the underlying disease process is stable, uncontrolled pain prevents patients from working productively, enjoying recreation, or taking pleasure in their usual roles in the family and society. 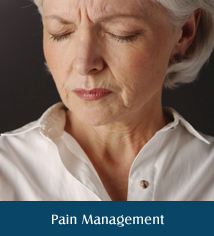 Chronic pain may have a myriad of causes and perpetuating factors, and therefore can be much more difficult to manage than acute pain, requiring a multidisciplinary approach and customized treatment protocols to meet the specific needs of each patient. Optimal treatment may involve the use of medications that possess pain-relieving properties, including some antidepressants, anticonvulsants, antiarrhythmics, anesthetics, antiviral agents, and NMDA (N-methyl-D-aspartate) antagonists. NMDA-receptor antagonists, such as dextromethorphan and ketamine, can block pain transmission in dorsal horn spinal neurons, reduce nociception, and decrease tolerance to and the need for opioid analgesics. [Anesth Analg 2001 Mar;92(3):739-44] By combining various agents which utilize different mechanisms to alter the sensation of pain, physicians have found that smaller concentrations of each medication can be used. When compounding medications, a compounding pharmacy must continually expand its armamentarium of bases, from which the most appropriate base is selected for the intended use of a compounded preparation. The results from the in vitro study showed that the ricinoleic acid PLO gel possessed significantly higher anti-inflammatory activity than isopropyl palmitate PLO gel. Further testing of the formulation showed that the ricinoleic acid PLO gel formulation significantly reduced pain and edema when compared to the isopropyl palmitate PLO gel. In addition, the ricinoleic acid PLO gel formulation markedly inhibited the synthesis of prostaglandin E2. Int J Pharm. 2015 Feb 1;479(1):207-11. Anti-inflammatory effects of a novel ricinoleic acid poloxamer gel system for transdermal delivery. Topical drug treatment aims at providing high concentrations of drugs at the site of application so as to avoid adverse systemic effects associated with oral administration. Smart polymers, or stimuli-responsive polymers, are able to respond to a stimulus by showing physical or chemical changes in the delivery of the drug carried by them. The thermo-responsive nature of certain gels such as Pluronic® F-127 and pluronic lecithin organogels (PLO), makes them excellent candidates for the delivery of drugs at various application sites. These bases have attracted particular interest in the formulation of topical and transdermal delivery systems with regard to promoting, improving or retarding drug permeation through the skin, bearing in mind that for topical delivery systems, accumulation in the skin with minimal permeation is desired, while for systemic delivery, the opposite behavior is preferred. J Pharm Pharm Sci. 2012;15(4):592-605. Pluronic® F-127 and Pluronic Lecithin Organogel (PLO): main features and their applications in topical and transdermal administration of drugs.